Along with a number of other Pokemon, Solgaleo, the Cover Legendary Pokemon of Pokemon Sun, will also be receiving a new Z-Move in Pokemon Ultra Sun & Ultra Moon. 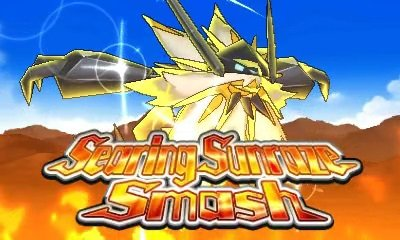 This Z-Move is said to be called Searing Sunraze Smash, and it can only be used on Solgaleo's Sunsteel Strike Exclusive Move. This new Z-Move and accompanying Z-Crystal are also said to work on Necrozma, but only if it is merged with Solgaleo in its Dusk Mane Form and knows the move of Sunsteel Strike as well.